How Fulfilling is Life Without Theatre? You are here: Home / arts education / How Fulfilling is Life Without Theatre? How fulfilling is life without theatre? Not much. To me, theatre is the Pièce de Résistance! My favorite of all the arts. I would be lost without it. Life is better with a dash of theatre now and then. For instance, last night my husband and I attended a community theatre performance of The Crucible. I don’t know when I last saw this play. The Barn theatre in Kansas City produced it. It’s difficult material and can be exploited by those performing in it if the director isn’t careful. Twice I watched a cast butcher the court room scenes, but this one was tremendously impactful. This morning, I shared with my husband my brain felt different today. As if I swallowed some unusual vitamin and I did, of sorts. A vitamin filled with excellent dialogue, a well crafted plot and brilliant metaphor. The play’s message stayed with me and I have pondered it from time to time today. That’s good theatre. My acting teacher at Stephens College, Jean Muir, was blacklisted and never worked again in Hollywood. Her crime? She attended a Russian ballet and wrote a letter of congratulations to the company complimenting them for their excellent performance. I believe her ex-husband reported her. Think about it–she complimented the ballet company. That.is.all. I met Jean in 1974, nearly thirty years later. She never completely recovered from the false accusation. Here is Lucille Ball. Even she was accused, but her career wasn’t ruined. Arthur Miller’s The Crucible is a metaphor about the age of McCarthyism and the Red Scare but it is as timely now as ever. And timely, don’t you think? This week I viewed a short video of an innocent young black man who was accused of doing something he didn’t do. Hmmm. The Barn made a good choice in producing The Crucible. When I attend a live production, I can immerse myself in the story as it plays out before me. I feel some of the emotional intensity at a movie theatre, but it isn’t the same as watching an actor only ten feet from me as he sweats and cries, begging his wife to forgive him. Powerful stuff. I know people who dislike theatre, but love movies. They say theatre is boring. Really? You can’t compare them to each other, but I understand the reasons for their opinions. It’s easier to access movies than attend a play. It’s all about convenience. Movies are available to us continuously. The wonders of the internet have given to us 24/7 access to nearly any movie you’d like to view. The most important difference between the two is theatre is LIVE. You can’t just sit back in your recliner, take off your shoes and fold your laundry while you watch. When you decide to see a theatrical production, you make a personal commitment to it. Generally, you’ll need to transport yourself to the show. You must arrive on time, take the seat you reserved (with a good or bad view of the stage), pick up the play program and deal with audience members around you. If it’s a comedy, it’s most appreciated by the cast if you laugh or at least chuckle. Musicals require you to applaud at the end of scenes if they are outstanding. 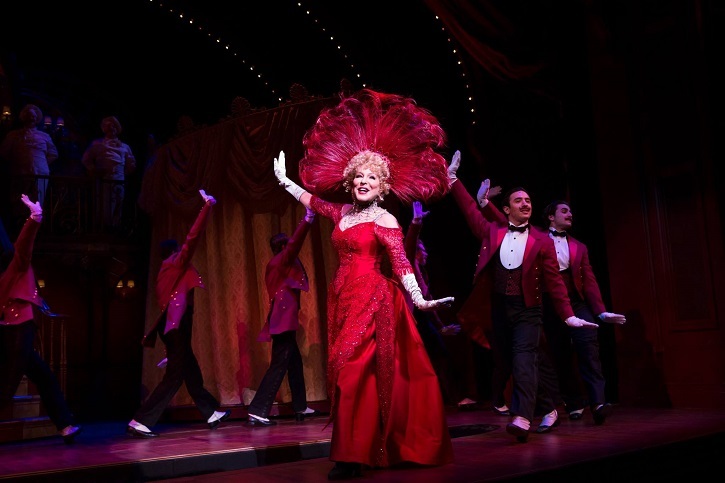 Have you ever applauded when a famous actress enters the stage the first time? You have a job to do as an audience member. As we view the production, we must concentrate, focus. We can’t rewind a scene or fast forward through the show to intermission just so we can get a snack. We must suspend our disbelief when viewing a play far more than we must while seeing a movie. The magic of a live performance makes it all the more poignant. There is something very special when one observes the dramatization of a particular thought right before our eyes. It is a unique experience. The actors tell the story as if it is the first time it has been told. We share the moment with them and others seated around us. This is human interaction at its best. Theatre discusses the human condition. It educates, inspires, broadens our world view, explores self expression, and encourages self empowerment. Besides, it’s a fun way to learn! As an actor, I’ve experienced what is like to be someone else. I’ve stepped into their shoes, so to speak. A well crafted character has flaws and strengths. I may not have the same strengths and weaknesses. Whenever I perform, it’s a heady experience and one I never forget. You never view people in real life with the same attitude you had prior to the production. It changes you. We could lose more than we bargain for if we lost theatre. Have you considered theatre uses all the arts–visual art, dance of movement and music? It’s a one stop shop. Art–Through designs of set, costume, and lights we utilize color, texture and silhouette to suggest themes and mood. Ponder this photo from “Sunday in the Park with George”, a musical by Stephen Sondheim. In an earlier post, I shared Seurat’s painting, “La Grande Jatte”. Notice the levels, colors, textures, silhouettes? Good stuff. How about dance? Or movement? Physical movement in a play is far more effective than words. Humans are visual thinkers. For example, we need the actor to show the character’s depression, so he uses a hushed voice, slouches his shoulders, walks with a slow gait and heavy steps. Blocking, the physical movement around the stage, encourages the audience to view the production like a living photograph. As I mentioned above, one doesn’t need to know much more about a play’s story than to merely observe the action. The above photo is from a production of The Crucible by Arthur Miller. The Crucible tells the story of the Salem Witch Trials, however it is a metaphor for the Red Scare of the 1950’s. Isn’t it effective? Music: When I direct a play, it is my habit to begin my pre-planning by selecting music to be played during the production. The music inspires me. It nurtures my creative process while I block the production. Music does an excellent job of creating mood for an audience. I will choose period music for a play if it depicts a particular time period in history. While I directing The Giver, a play set in a dystopian world, I was stumped on my music choices. Then I remembered Philip Glass. Several moments in the play call require the falling of snow. I considered various ideas and finally decided on Glass’ “Music Box”. A gobo light rotator was hung. It displayed a snow flake-like pattern. We selected the first 45 seconds of the piece. Every time the music played, the audience was encouraged to imagine the falling of snow. Theatre pulls the arts together. In the world we live in at present, whenever we can come together and consider a social issue, we stand to win. It’s very easy to become isolated now. Without theatre, we’d lose more than we’d gain. How have you been fulfilled by attending a play or musical? I’d love to hear from you.